That’s right……I MADE THE COVER!!! Of Rolling Stone, you ask? Even Better! 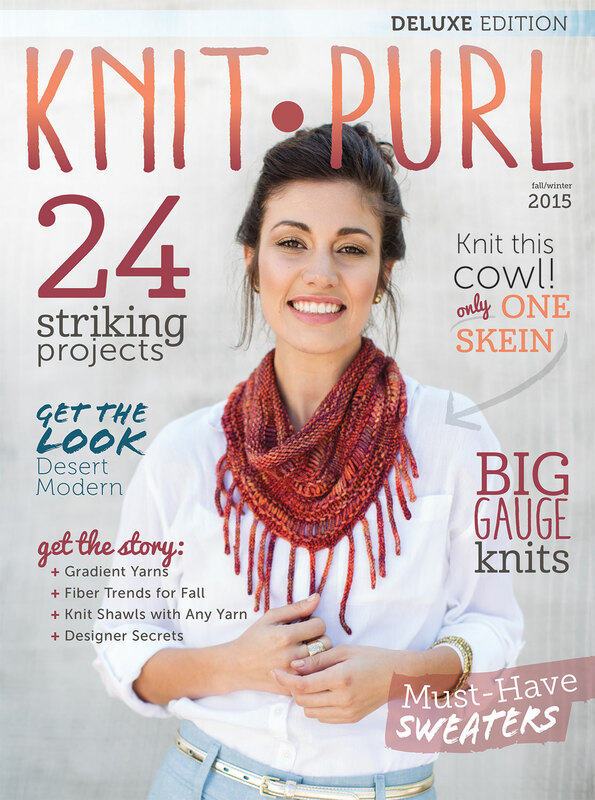 knit.purl Fall/Winter 2015!! Or rather, my Shredded Cowl made the cover!!! 24 modern and fun designs fill this issue, from edgy to classic, from sweater to shawl. 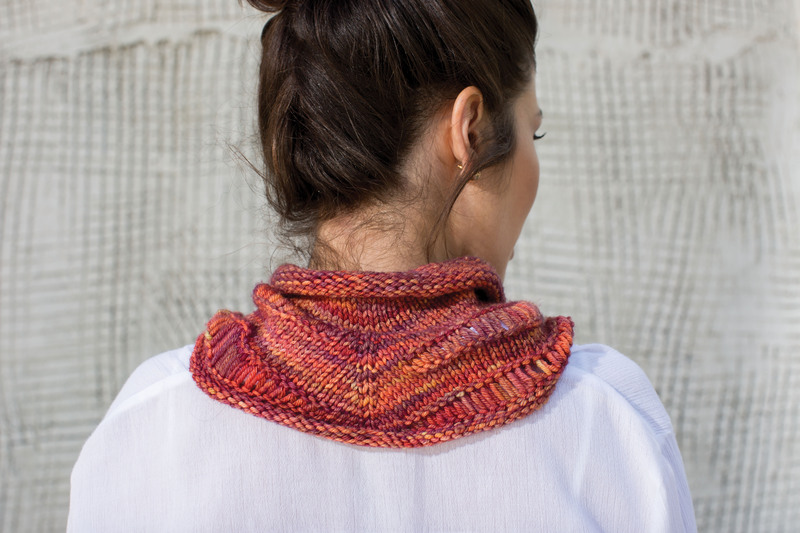 Shredded Cowl features large areas of dropstitches to show off your favorite hand-painted yarn. It is worked in the round from the top down with 2-stitch fringe decorating the lower edge. Thread large glass or wooden beads onto the fringe for your own personal touch. The sample is worked in Malabrigo Rios Archangel — only 1 skein! A fast, fun knit you’ll be proud to wear. Thanks to the gorgeous model for making it look so good, and to Harper Point Photography, the wiz behind the lens.